The European Union has been accused of using "systematic human rights violations and abuses" to keep people out of Europe and avoiding doing its "fair share for refugees," the latest report from Amnesty International (AI) claims. The EU, which is the richest bloc in the world, is said to be avoiding doing its fair share for refugees around the world by making deals to return them to their home countries, said AI which has published another report into the current refugee crisis. "Wealthy countries have shown a complete absence of leadership and responsibility," the report, Tackling the Global Refugee Crisis: From Shirking to Sharing Responsibility,' says. The report also offers a solution to the crisis, based on a system in which all countries fairly share ten percent of the world's refugees every year. "Just ten of the world's 193 countries host more than half its refugees. A small number of countries have been left to do far too much just because they are neighbors to a crisis." Rich nations' self-interest means refugee crisis set to get worse, not better. "That situation is inherently unsustainable, exposing the millions fleeing war and persecution in countries like Syria, South Sudan, Afghanistan, and Iraq to intolerable misery and suffering," the report states. "…why the world can bail out banks, develop new technologies and fight wars, but cannot find safe homes for 21 million refugees, just 0.3 percent of the world's population." However, it's not the first time EU leaders have been accused of putting borders before people. "While European leaders demonstrate a collective failure of political leadership and moral courage, people who have escaped war and tyranny are met with barbed wire and tear gas. "Mums are forced to bathe their infants in dirty puddles, and yet more refugee children drown on Europe's shores." 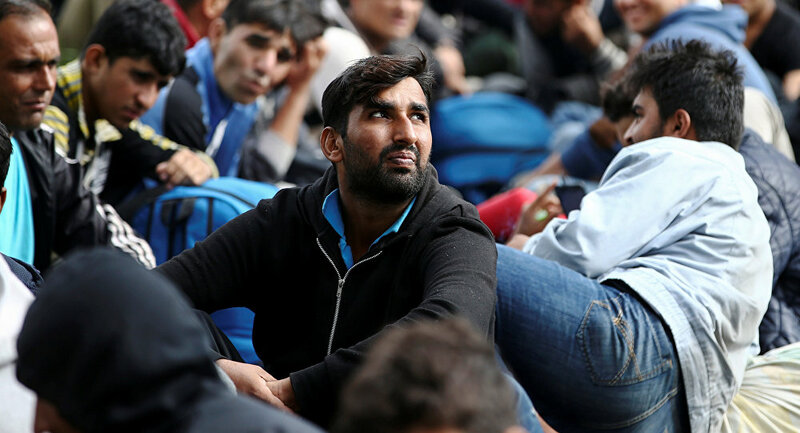 ​This latest report from AI continues to point the finger at policies adopted in Europe that do more to protect individual countries' borders than safely resettle vulnerable refugees. "The EU has a wide set of foreign policy human rights tools at its disposal, the focus should be on implementing these tools and commitments to address the push factors which lead people to move rather than on shortsighted migration control policies that rise destabilizing and exacerbating the crisis," Iverna McGowan, head of AI's European Institutions Office said. However, when asylum seekers are allowed to stay in Europe, they're kept in "dire conditions." ​Conditions that are well-documented by humanitarian organizations, yet seemingly ignored by EU politicians who continue to make "dodgy deals."